It's 1904 and Maggie's mother disappeared and Maggie longs to find her in time for her debut. Shortly before her mother disappeared, she was clearly struggling and Maggie longs to see things set right. Her father has an idea to go West to see if they can find Maggie's mother. Maggie agrees even though she fears leaving behind her friends and her chance at a successful debut season. However, Maggie's father has some secrets up his sleeve that Maggie will discover as they travel to Yellowstone. 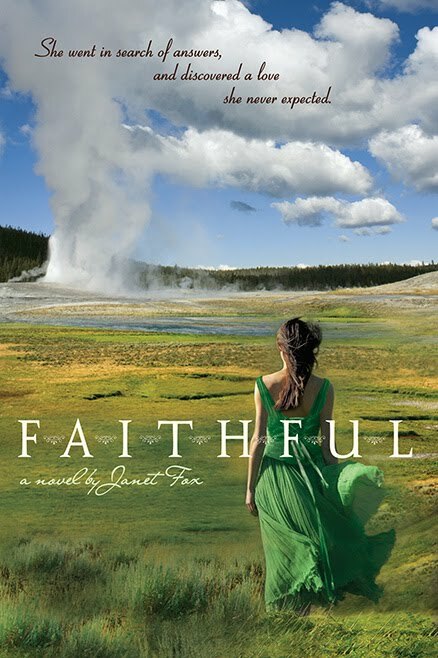 At Yellowstone, Maggie will be confronted not only with the truth about her mother, but the truth about herself as well, in the beautiful and wild nature of Yellowstone. I really enjoyed reading Maggie's story. I sympathized with her as she was a young woman with few real choices of her own during her time period. I felt very frustrated by some of the things she was forced into and also appreciated that she was forced to face some of her own snobbery and assumptions about people in the book. The book did move a bit slowly for me, but overall, it was interesting to think about the development of Yellowstone National Park and what it was like before it was a somewhat settled place. Wild and dangerous, though beautiful. Recommended for fans of YA historical fiction.